When planning your next trip to Bali, why not book an exciting family holiday villa topped off with incredible views that will leave you breathless. Here are a few of our most popular villas; largely in part because of the stunning views, exceptional service, amazing architecture and some unforgettable locations. We have a selection here from the Bukit Peninsula/Uluwatu, Candidasa, Amed, Lombok and even the island of Nusa Lembongan, enjoy! This is only a small selection of our fabulous Bali villas to rent. If you would like to see other holiday villas or like to know where are the best places to stay in Bali, please contact us via our online chat or send us an email. We are open 7 days and will respond to you really quickly! 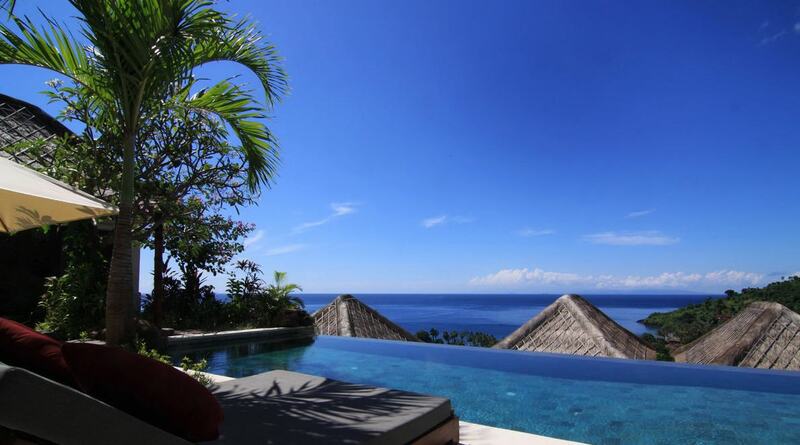 Bali Holiday Villas with Incredible Views! 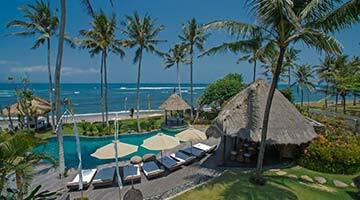 An absolute beachfront glamour; set upon on the beautiful island of Nusa Lembongan. Just a 30 minute fast boat ride from the mainland of Bali at the port of Sanur. Kick back on the huge white sofas, before pulling up a director’s chair at the dining table, for a veritable seafood feast, prepared by your private chef. 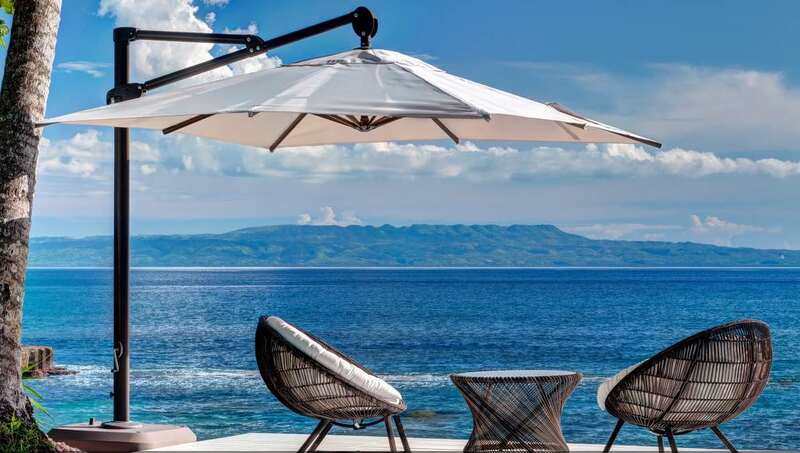 It’s really easy to get to Nusa Lembongan and staying at Villa Voyage is going to impress the family or your friends with it’s sensational beach front location. 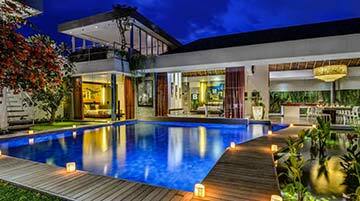 Escape to the island of Nusa Lembongan at the stunning Villa Seascape! Chill out at the pool bar, sink into a poolside chair and get lost in the oceans horizon. This stunning, family holiday villa, takes “chic” to a whole new level. 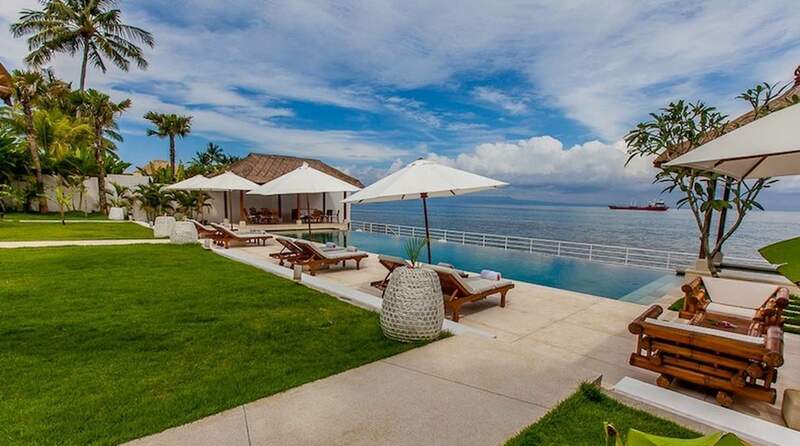 Enjoy this amazing holiday villa right on the beach with it’s amazing views. This collection of boutique holiday villas is perfectly located in a private estate with amazing views. Amed will give you total peace and quiet, leaving you fully rejuvenated. The pampering experience at the award winning Channa Spa is absolute 5-star. 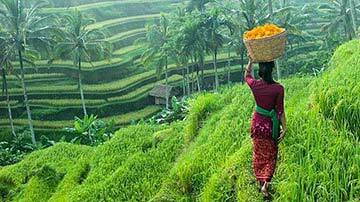 If you want to experience a quieter side of Bali then Amed is perfect. 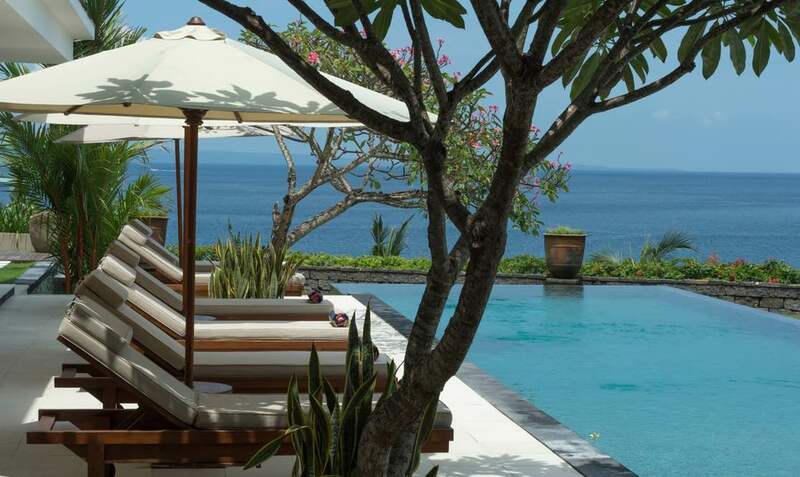 Located on Bali’s north-eastern tip, you will find peace and serenity at Villa Tirta Nila Beach House. The outdoor setting will blow your mind! 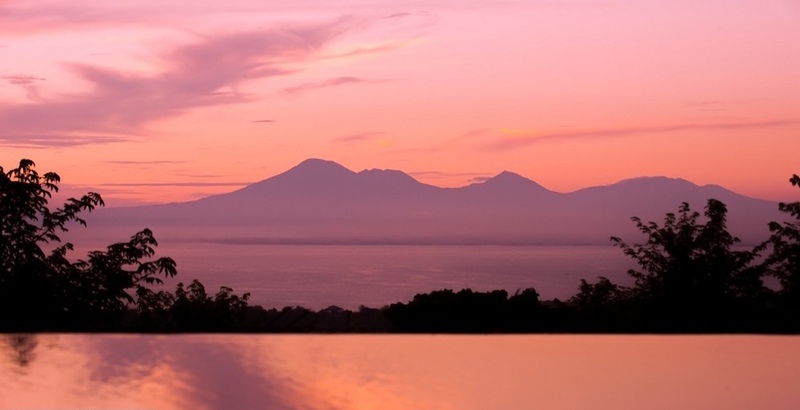 Laze on the edge of your private infinity pool and gaze out across the Sea of Bali. Take adventurous day trips to nearby Lovina and Candidasa. 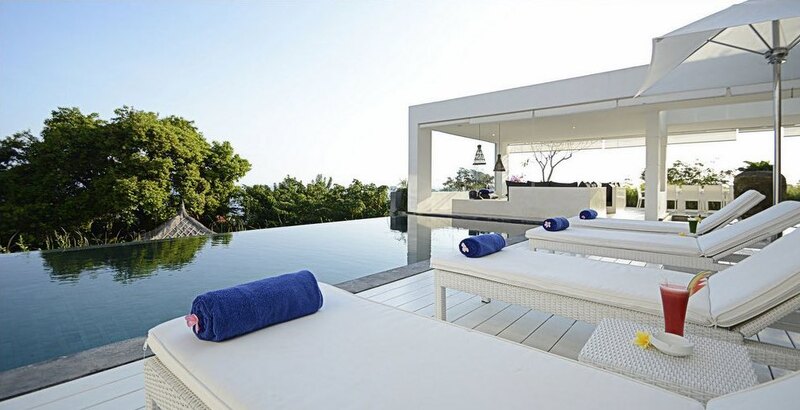 This stylish and contemporary holiday villa offers every modern comfort you could wish for. Ocean views will be awe inspiring from the comfort of your poolside recliner, shaded by a personal parasol. Jump into the Jaccuzzi and let the water jets massage all those city tensions away, in a jiffy. Spacious living areas provide complete air-conditioned comfort. 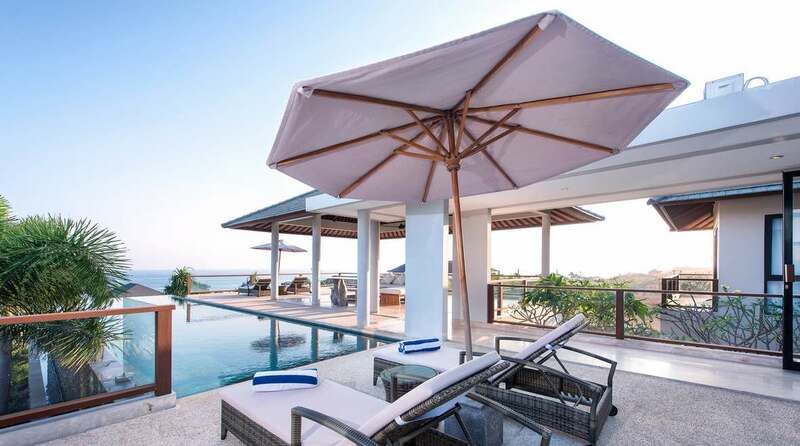 Refined holiday luxury of a grand scale will be all yours at Villa L on the Island of Lombok. 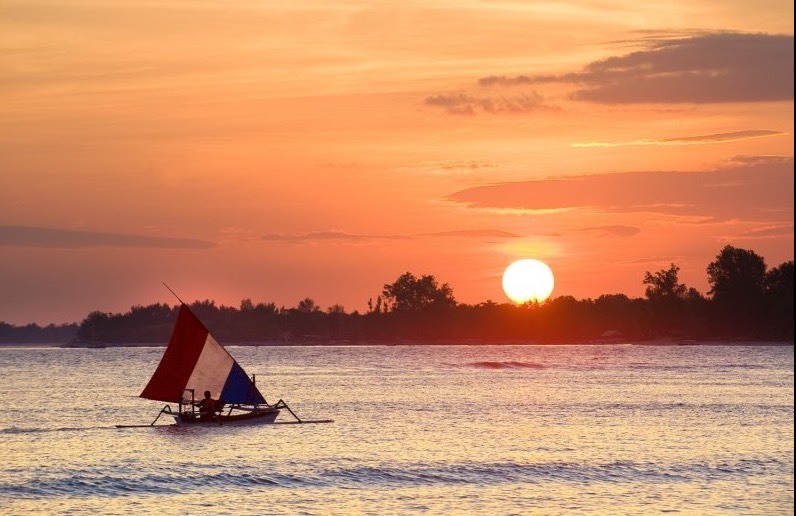 Just take a 90 minute ferry ride from the hustle and bustle of mainland Bali. The “L” in Villa L should refer to ‘Luxury’ because this villa redefines just that. You can be excused for thinking you’re in the Hamptons at Villa Stella. Enjoy a buffet breakfast prepared by the friendly staff right on your private beach. Soaring coconut palms shade friends, family and little ones as you enjoy the pleasures of your private lap pool. There’s even a pool at one end, specially designed to accommodate young ones and infants. 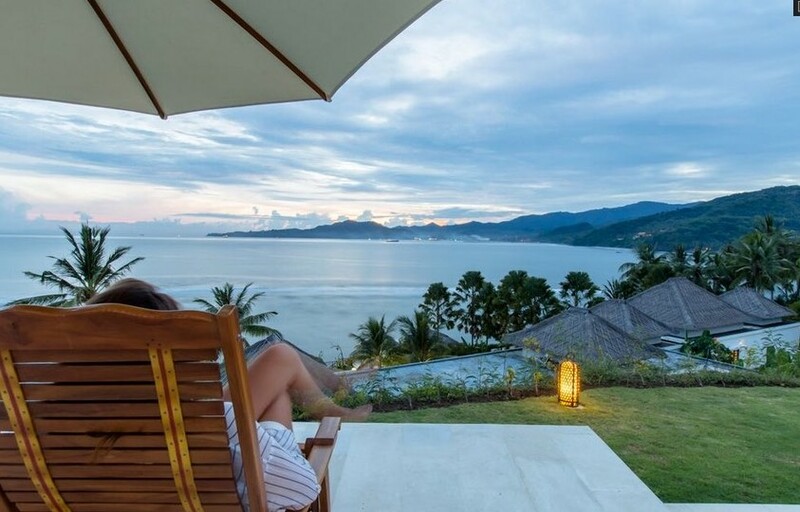 This absolute beachfront holiday villa renatal is the essence of tropical holiday living & with the most incredible views over the ocean right on your door step you never going to want to leave this place. Hand crafted timber furnishings and ornaments delight the villas interiors. Have a workout in your private gym or take a private massage followed by a soaking bath decorated with fragrant flower petals. 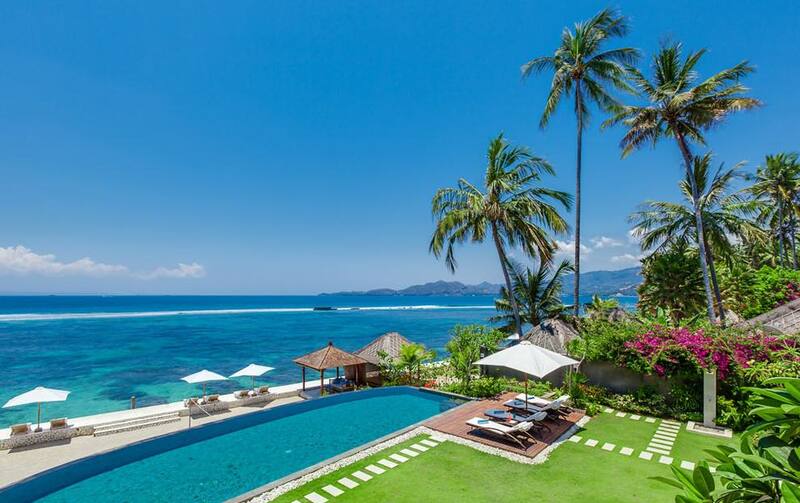 An immense, sprawling private villa, sits on the beachfront of peaceful Lombok. A huge manicured lawn brings you to your private beach beyond the azure swimming pool. A Jamaican inspired poolside bar awaits, your personal butler serving up your favorite cocktails. What a great place to take the family for a once in a lifetime holiday. 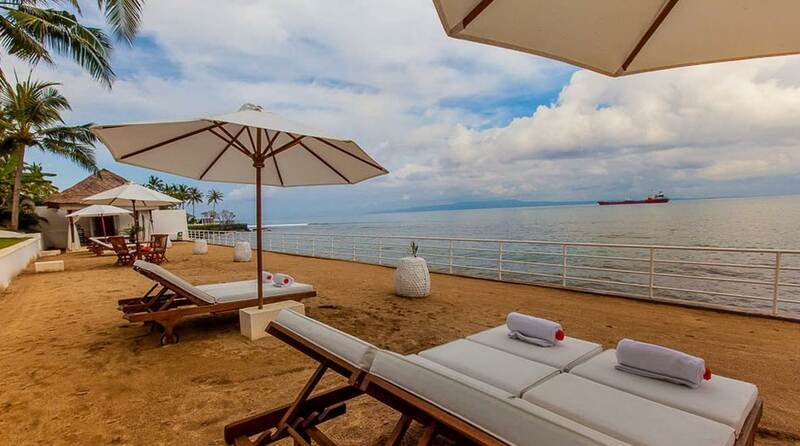 At peaceful Candidasa, Villa Gumamela is holiday luxury personified. A huge lap pool sprawls the length of the garden, providing breathtaking, ocean front views. Dine alfresco style on the spacious, covered outdoor dining area. Or have a formal family dining experience in the comfort of high-backed chairs. Villa Lucia sleeps 8 guests, providing unobstructed ocean views and deluxe accommodation. Should I enjoy a massage in the jacuzzi? Relax in the shade of the poolside bale? Or work on that golden holiday tan on the comfort of a poolside recliner? The kids will love the sprawling lawns and views from the upstairs private balconies are awe inspiring. 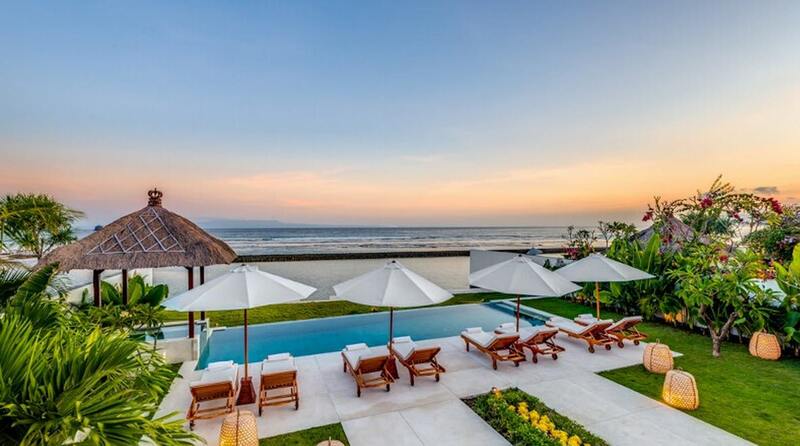 Just 100 meters back from the shoreline, Villa Asada meets absolutely every holiday desire. A massive living pavilion offers formal dining, lounge and state-of-the-art kitchen to prepare those fabulous meals or for those that love entertaining. Imagine 100 meters of private, tropical beach front! Laze the days away in your tropical free-form pool. Let your eyes wander through the myriad of swaying coconut palms to the ocean beyond. Grab a sea kayak and go for a paddle, only to return to your beachfront dining table, filled with fresh tropical juices and native fruits. 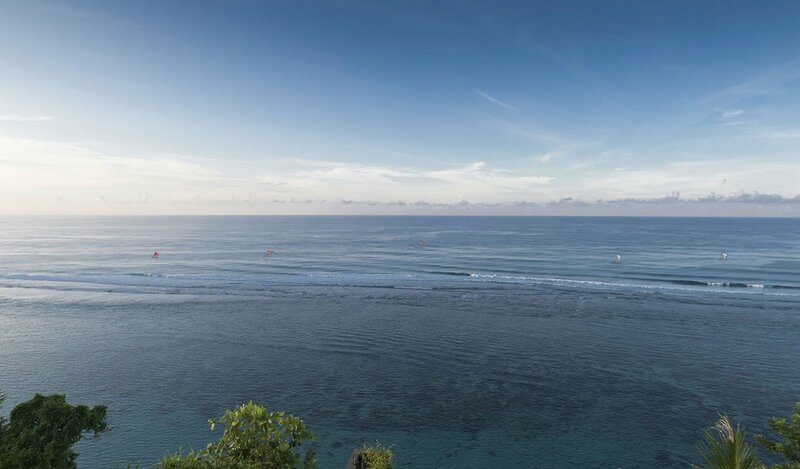 Set on the Bukit Peninsula at the world renowned Uluwatu, sublime views of the Indian Ocean await. Beautiful alang-alang thatched pavilions house open-air living spaces. Take the staircase down to Bingin Beach and relax in the hillside cafes or enjoy a sunset cocktail. Or make your way to Single Fin on the cliff at Uluwatu and soak up the fabulous vibe as you take in the views below. 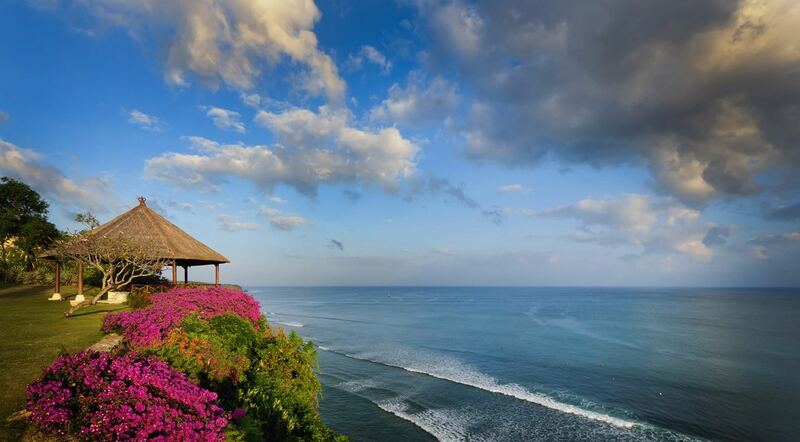 This is the surfing mecca of Bali, surf enthusiasts will be in heaven. This is the ultimate beach style holiday for the family. A plush living pavilion offers exceptional comfort and dining with immediate views of the Indian Ocean. A master suite has its own private plunge pool for a little holiday romance. The immense infinity lap pool seems to disappear into the ocean vast expanse. Formal dining facilities can cater for up to 16 guests in one sitting. 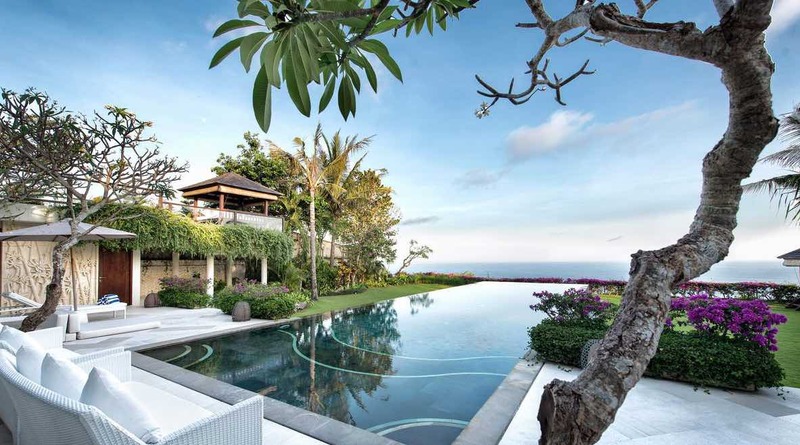 This is one of the best large group Bali villas to rent in Uluwatu with killer views. Contemporary tropical luxury would be an understatement at Villa Hamsa. Villa Hamsa is akin to a 7-star retreat, within the privacy of your own holiday villa. An Asian inspired circular dining table seats 10 guests, only the finest of glassware and china on hand. Twin vanities and extra deep, free standing soaking tubs are the norm at Villa Hamsa. This split level holiday villa takes luxury holiday living tot he next level. 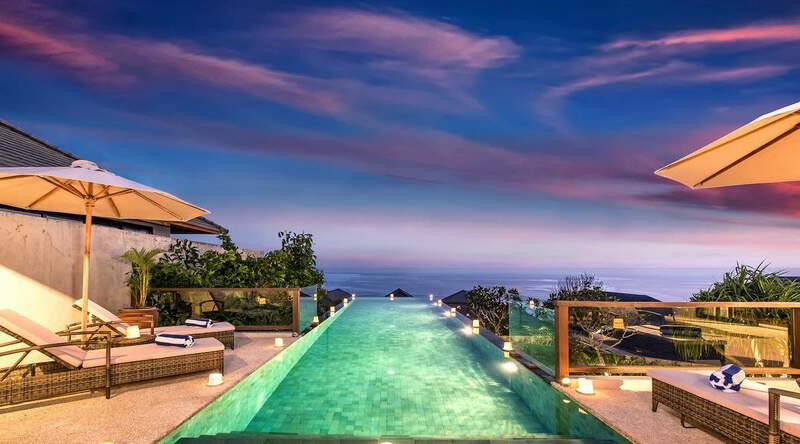 Ocean views from the outstretched infinity pool on the upper level are simply unbeatable. Sophisticated lounge and living areas enjoy the comforts of air-conditioning. Deluxe King sized beds will ensure uninterrupted holiday slumbers. Great villa at a great price with amazing views. 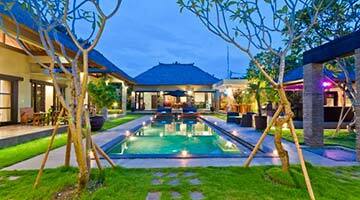 This two level holiday villa rental, is specifically designed for family holiday getaways. The outdoor pool area is heavenly, sun beds, a bale with comfy sofa and more recliners providing the best views of the Indian Ocean. Villa Ocean Breeze is all about cutting edge architecture that will certainly impress. A circular bale surrounded by water is the perfect place for simply relaxing and soaking up incredible sunsets with your favorite cocktail in hand. The bedrooms hard wood floors and sophisticated furnishings are something else. A unique oval shaped swimming pool, will be place for hours of family fun and great times.